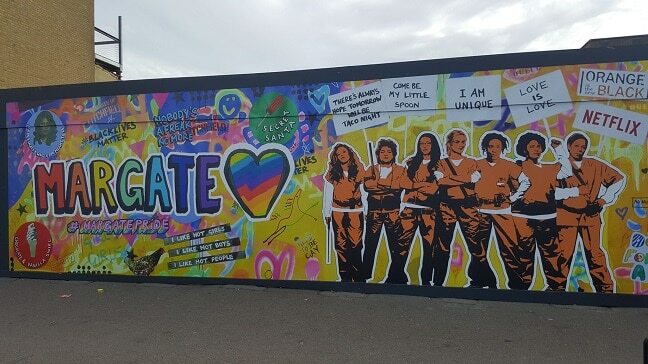 A new mural celebrating Margate Pride is in place outside Dreamland. 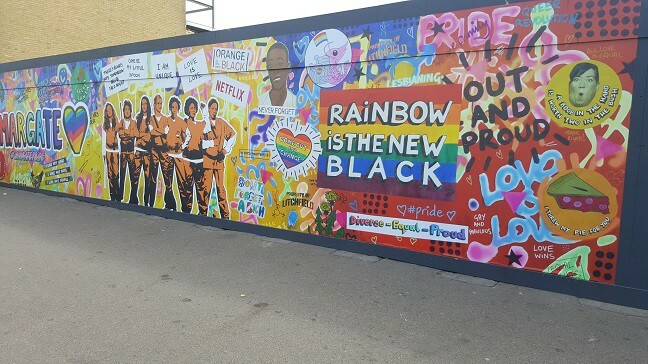 The artwork has been created by LGBTQ+ artist Hizze Fletcher as part of a project with Netflix to celebrate Pride events across the country. Hizze created the mural, sited outside ‘Godden’s Gap,’ using a blend of techniques including acrylic, paint, paste and pens. The print outside Dreamland is part of a range of murals that the artist created in the project.